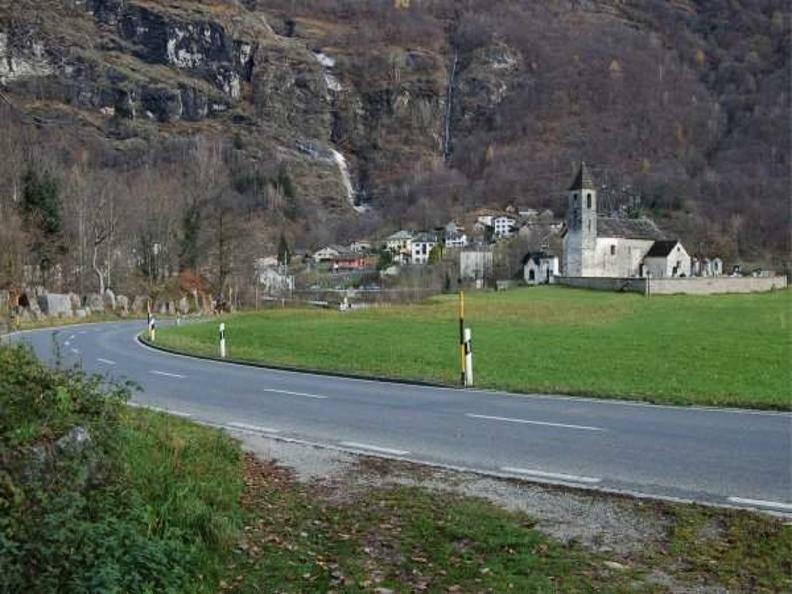 In the sunny Valle di Blenio the route climbs through centuries-old cultivated landscape, scented flower-filled meadows and terraced walls, with views of snowy summits. 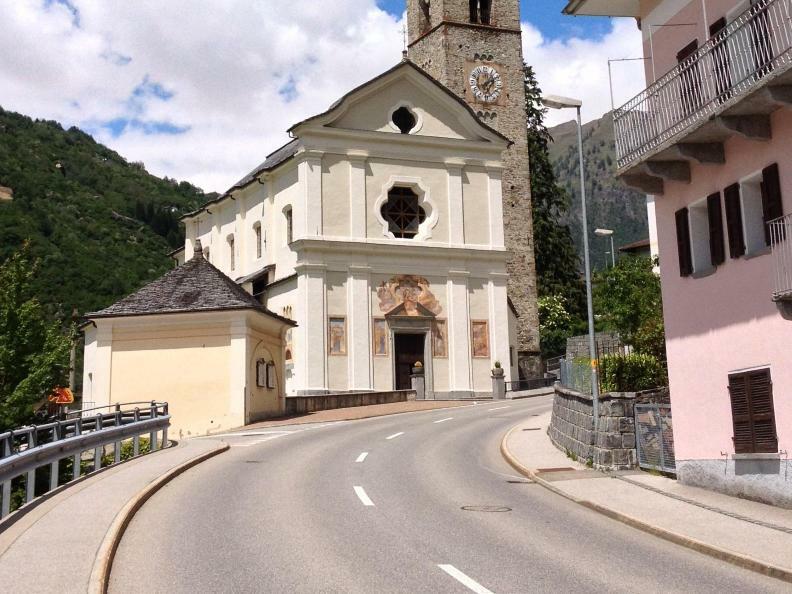 Through the sunny Valle di Blenio, steeply up to the Passo del Lucomagno, one of Switzerland's loveliest pass landscapes. Along the reservoir into Val Medel, alpine roses in the valley and thundering water in the Höllenschlucht (gorge), destination Disentis. 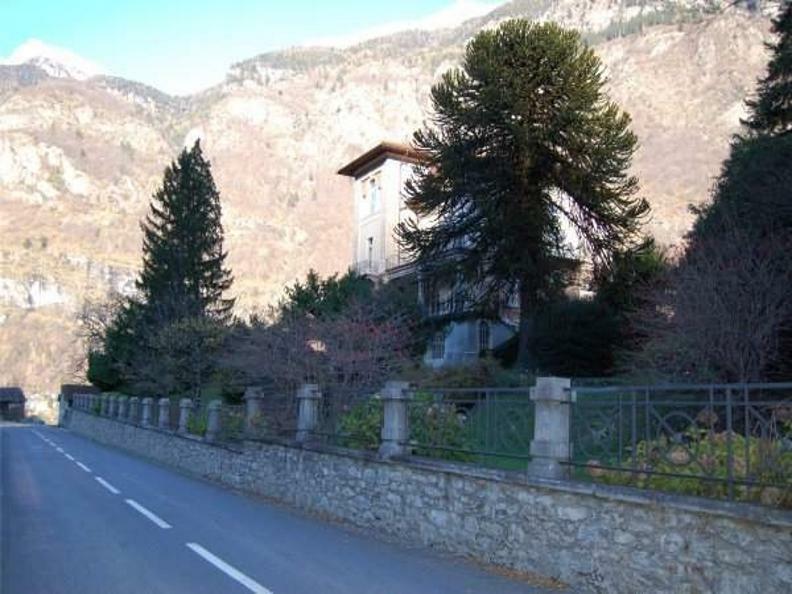 Start in Biasca, the main town in the Ambrosian valleys of Leventina, Riviera and Blenio. 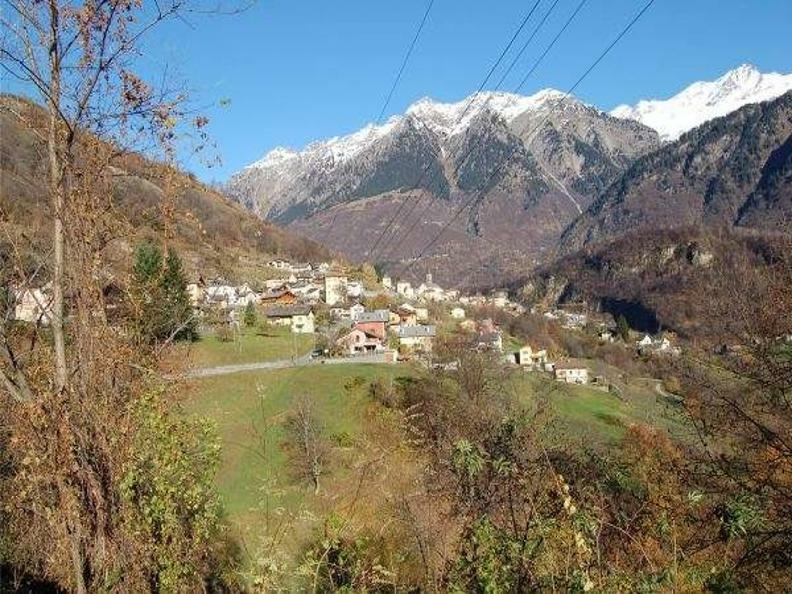 The lower slopes of the Tales des Brenno are spread with forests of chestnut trees, the chestnuts, once a «poor man's fruit» are now often left lying on the ground. 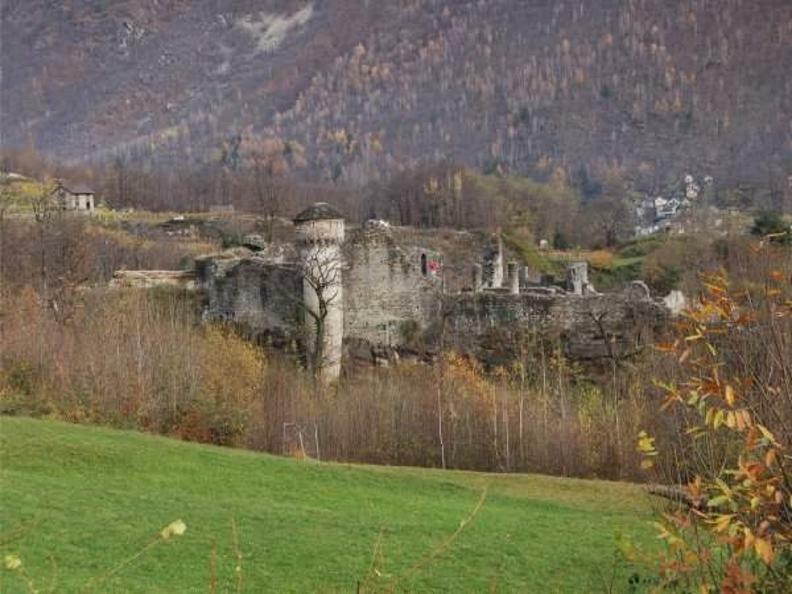 Emperor Barbarossa once stopped at the Burg Seravalle vor Ludiano (castle), the ruins evidence of its former might. Terraced farming is practiced in the sun-soaked valley. 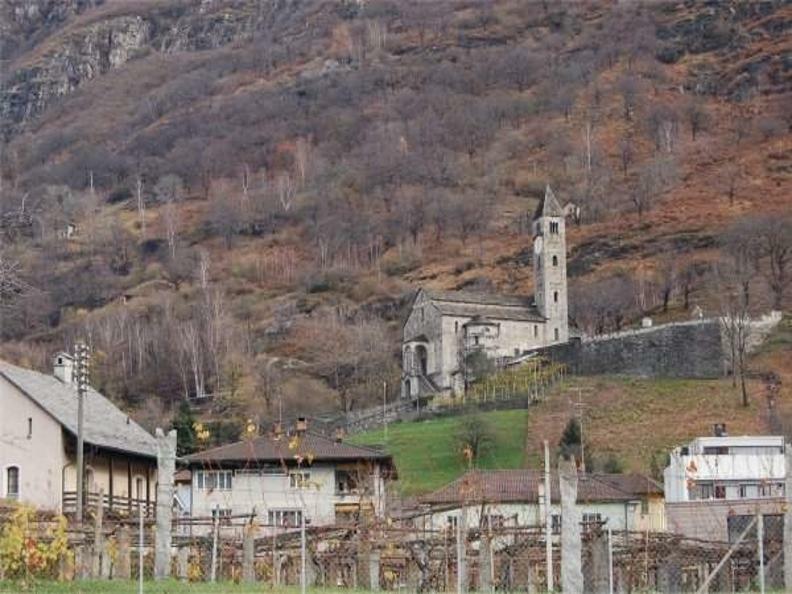 Isolated high on an Alpine meadow stands one of the Ticino's most impressive Romanesque buildings, the church of San Carlo di Negrentino with its fabulous frescoes. 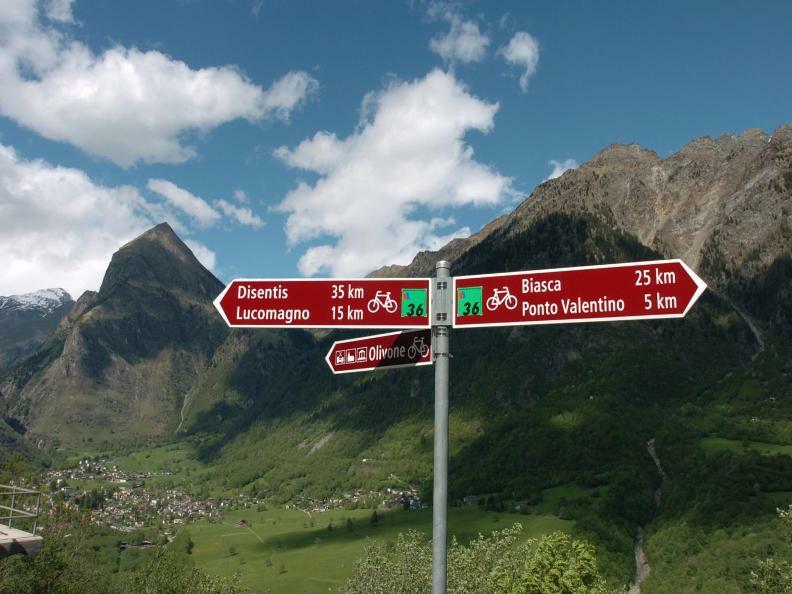 Butterflies wing uphill with you, the scenery changes, the pines in the quiet Alpine valley of Santa Maria have the tang of resin; the ring of cowbells accompanies us to the Passo di Lucomagno. 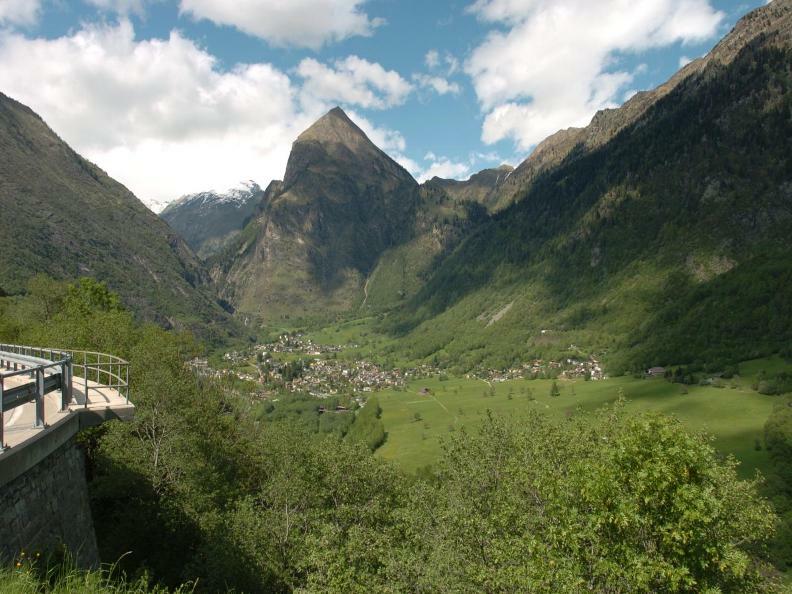 After the pass, the route travels alongside the reservoir lake into Val Medel, where fragrant Alpine roses, sun-kissed chalets and thundering water in the Höllenschlucht (gorge) accompany you to Disentis. This itinerary is open to traffic, please respect the road safety rules.